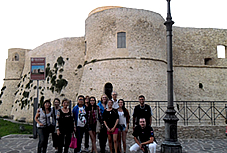 Important part of our courses are guided tours. 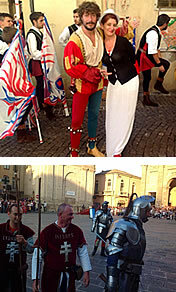 Each course includes a number between 3 and 8, plus some optional excursions. It depends on the duration of your stay. 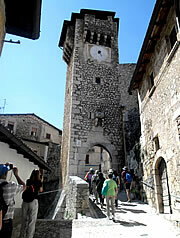 They will be a full day and half-day excursion, all included in the course. 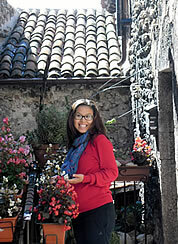 The destination will depend on the season, and we are available to the student’s suggestions about what to see. Further details will be given during the courses and in the calendar. In addition to the guided tours we would like to remaind students that they will be able to move around easily by bus or by train. 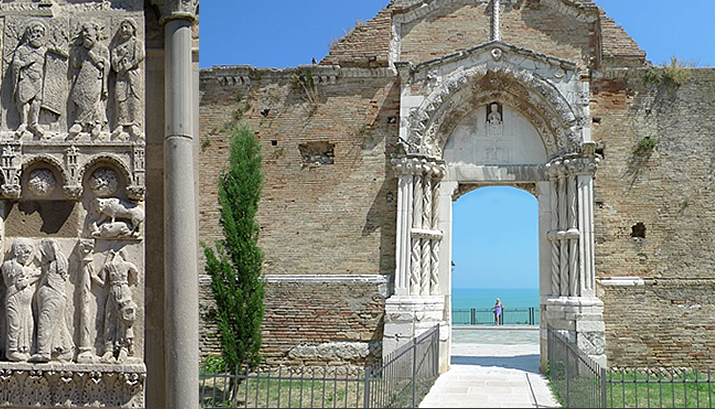 Especially in summer it is possible to get the beach of Casalbordino (which is just 5 km away) by bus, car or even by bycicle. ° Lanciano city of the Sanctuary of the Eucharistic Miracle - in September: medieval festival of "Mastrogiurato"
° Pacentro - in August: medieval festival of "I Caldoreschi"
° Corfinio, the first capital of Italy - the archaeological museum and archaeological site of the "Giuramento degli Italici"
The extreme variety of its natural habitats (marine habitat, river and lake, forest, mountain...), the Abruzzo is today more than ever as an extraordinary biological laboratory for the conservation of nature and ecosystems. 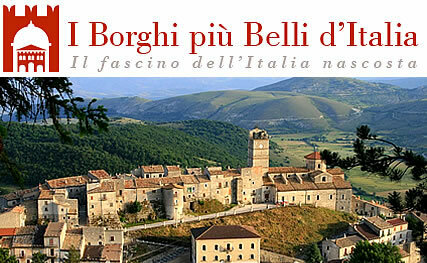 This straordinary variety, leads the Abruzzo region in a major and leading role in the field of "green tourism". 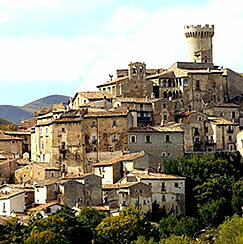 ABRUZZO MAY BE CONSIDERED THE REGION MORE "GREEN" OF EUROPE. 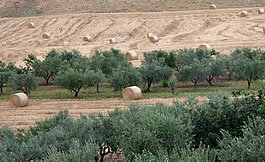 The Abruzzo region can be considered the most "Green" in Europe. In fact any other region in Europe focuses, within its borders such a variety of natural environments: from the sea to the mountains, from the lakes to rivers. 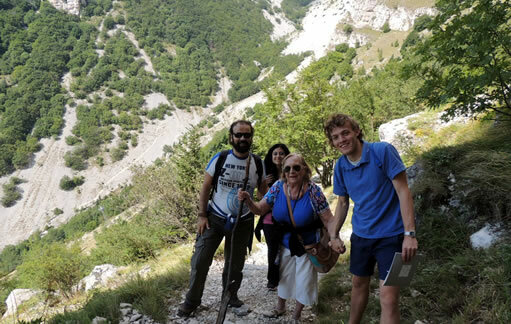 In Abruzzo 30% of the territory is under the environmental protection, with three national parks, a regional park and 38 between oasis and natural reserves. 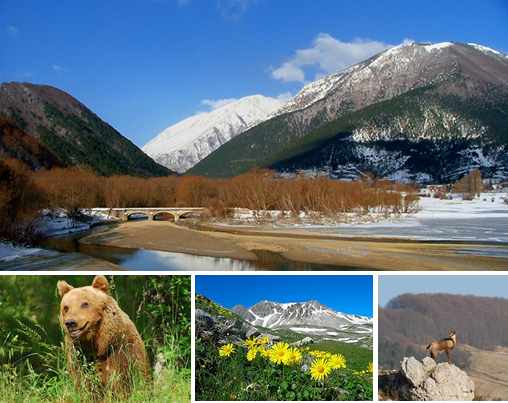 The parks extend into the mountainous area, offering a wide variety of landscapes and environments in which lives protected rare species, such as the Marsicano bears, the Apennine wolf, the chamois of Abruzzo and the golden eagles. One of the most interesting elements offered by the beautiful region of Abruzzo, crossed by the century-old "sheep tracks," is represented, no doubt, by the beautiful ancient villages, often fortified, featuring mainly the picturesque mountainous and hilly areas of the four provinces, which put the Abruzzo in the first places among the Italian regions with the highest number of locations in the prestigious Club of the "MOST BEAUTIFUL VILLAGES OF ITALY". 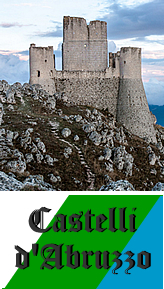 * SANTO STEFANO DI SESSANIO - The territory of the municipality is included in the National Park of Gran Sasso and is considered the "gateway" to the park. 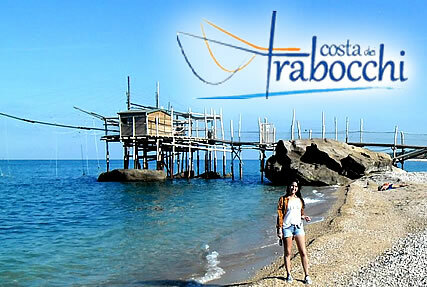 The COAST OF TRABOCCHI is a stretch of coast known throughout Italy for its naturalistic beauty and for its heterogeneity. 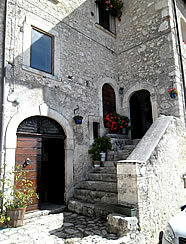 Abruzzo is also a region of sea , with miles of coastline rich in extraordinary landscapes, very different from each other. In the province of Chieti, and ideally until the Molise region, this becomes interesting coastline with coves, headlands, cliffs and jagged, making it a unique and comparable to the ocean coasts of Portugal or Scotland. 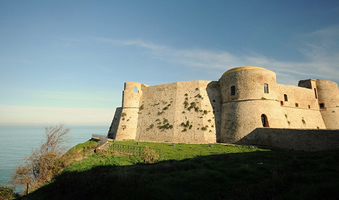 This tract, which extends from Ortona to Termoli, including San Vito Chietino, Rocca San Giovanni, Fossacesia, Casalbordino and Vasto, is known as "Trabocchi Coast" and takes its name from the "trabocco", an ancient and traditional boat construction, which is frequently meet on the coast and that it has become a symbol. 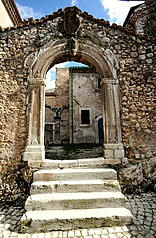 Punta Aderci is one of the most fascinating stretches of the coast of Abruzzo. 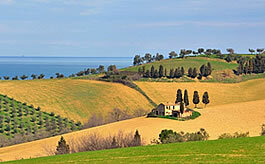 Sand and shingle beaches, high cliffs and reefs, agricultural and wild landscapes. Shades of green and blue of a stretch of the Adriatic where it's easy to impress.